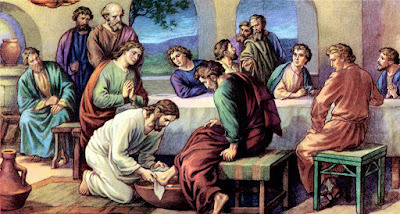 Jesus washes his disciples feet at the Passover meal. if you have love one for another. Without my help you can do nothing. Love bears all things, love is eternal. I am the true vie, my Father is the gard'ner. Abide in me: I will be with you.